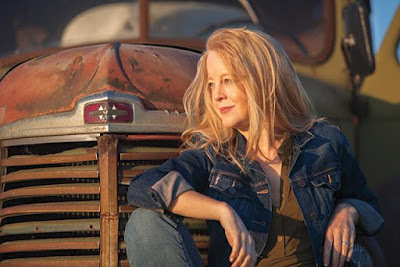 Minnesota native Maria Schneider recently released a luminously beautiful new album, "The Thompson Fields," on the fan-funded label ArtistShare. 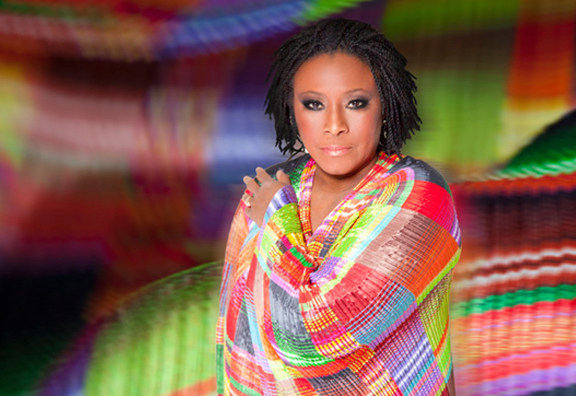 We spoke with her shortly before her appearance at the Detroit Jazz Festival. Read it on MinnPost. Sonny Knight onstage at 67: "It's like life started all over again for me"
We caught up with Sonny Knight at the Monterey Jazz Festival, just before his Saturday performance with the Lakers on the Garden Stage. Read it on MinnPost. From Friday at 6 p.m. when the gates open, through late Sunday night when the last notes sound and the final stragglers, the diehards, those who don’t want the music to end (count us in) make their way down the shadowy tree-lined paths toward the exits, the Monterey County Fairgrounds will be the jazziest place on the planet. At the 58th Annual Monterey Jazz Festival, which happens this weekend (Sept. 18-20), jazz by many of the world’s top artists will rise to the sky above the open-air Arena and the Garden Stage, pour through the doors of the Night Club and Dizzy’s Den and curl around listeners crowded into the small, intimate Coffee House. Jazz conversations, panel discussions, jam sessions, workshops, mixers and a film will take place throughout the grounds. Everyone you meet at a concert, in a line or around a picnic table will be a jazz fan, aficionado, performer, supporter, producer, journalist, educator, student or at least curious and willing to listen. No one you meet will claim not to like or understand jazz, or insist that it’s dead. Monterey is a magical weekend, and addictive. This will be our 11th year, and we come all the way from Minnesota. We’re not the only ones who travel a long way to soak up the ambience of the place and the excellence of the programming, which is never the same but poses the identical hair-pulling, teeth-grinding dilemma year after year: what to see and hear? Because with 500 artists and 109 events on eight stages over just two-and-a-half days, it’s about choices. It’s also about chance and happenstance, following your ears and letting yourself be tempted, sidetracked and surprised. But you have to start somewhere. So here’s what we like best this year. Jazz at Lincoln Center Orchestra. Why have a single Artist-in-Residence when you can have a whole band? 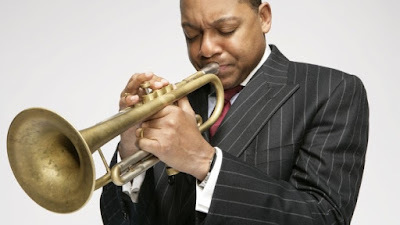 Led by Wynton Marsalis, the Jazz at Lincoln Center Orchestra is 15 exceptional soloists, ensemble players, composers and arrangers. They’ll play together in the Arena on Saturday night, then take over Dizzy’s Den on Sunday with a performance by JLCO saxophonist Walter Blanding and his sextet, followed by bassist Carlos Henriquez and an eight-member band (including guest percussionists) in a concert of his original music, ending with an everyone-but-Wynton jam session that will sound some of the Festival’s final notes. On Saturday afternoon on the Jazz Education Pavilion, JLCO saxophonist Ted Nash will lead the MJF High School All-Star Combo. On Sunday afternoon in the Arena, Nash and Marsalis will perform with the Festival’s Next Generation Jazz Orchestra. Chick Corea. Ageless and tireless, endlessly inventive and enormously creative, this year’s Showcase Artist is someone for whom the term “living legend” is an understatement. Any opportunity to see Corea play live is a gift. 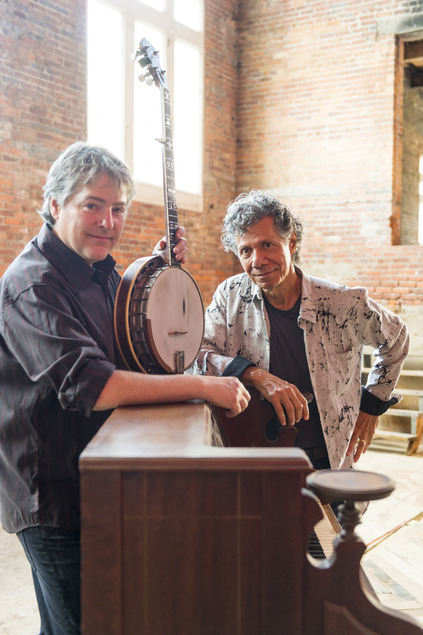 He’ll perform in the Arena twice: on Friday night with his superb trio Trilogy, with Christian McBride and Brian Blade, and on Sunday night, again in the Arena, in duo with virtuoso banjo player Béla Fleck, who has transformed the way his instrument is perceived and played. No one should have to choose between the two events – both are unmissable – but if our feet were held to the fire, we’d probably go with the Sunday night show because it’s not a piano-bass-drums trio. Except missing McBride and Blade is dumb. Ambrose Akinmusire Quartet + 5: “The Forgotten Places.” One of our can’t-fail faves each year is the MJF commission. We don’t know a thing about this yet, except that Akinmusire wrote at least part of it at the Glen Deven Ranch in Big Sur, where Bill Frisell wrote his 2012 commission, a luscious hour-long suite he named “Big Sur.” We’ll hear Akinmusire’s new work on Saturday evening in the Arena. The eloquent young trumpeter/composer will also perform with his quartet in the Night Club later that night. Geri Allen Presents The Erroll Garner Project: Concert by the Sea. This is both a live performance and a major CD release. Recorded on a reel-to-reel machine near Carmel in 1955, two years before the first Monterey Jazz Festival, Garner’s “Concert by the Sea” is one of the most popular jazz albums ever released. Almost 60 years later, it has finally gotten the serious and loving archival treatment it has long deserved. On Friday, the same day as this concert, Sony Legacy releases “The Complete Concert by the Sea,” with 11 previously unissued tracks from the original performance. Pianist Geri Allen, who counts the old album as one of her major influences and co-produced the new one with Steve Rosenthal, will lead a celebratory concert also featuring pianists Jason Moran and Christian Sands, guitarist Russell Malone, bassist Darek Oles and drummer Victor Lewis. On Saturday afternoon, Dizzy’s Den will host a panel discussion about Garner’s legacy with Allen, Rosenthal, UCLA professor (and Thelonious Monk biographer) Robin Kelley and Festival board member Jim Costello, who was at Garner’s original “Concert by the Sea” performance. The discussion will be moderated by Erroll Garner Jazz Project manager Jocelyn Arem. The Festival has gone very deep on this, and for those who are interested, it’s a once-in-a-lifetime opportunity to dig in, learn from the experts and come away knowing a lot more than you did going in. Meanwhile, there’s good information on the Festival’s website, plus an article by Nate Chinen that will appear in Sunday’s New York Times but is available now online. Sonny Knight & The Lakers. This is a straight-out hometown shout. 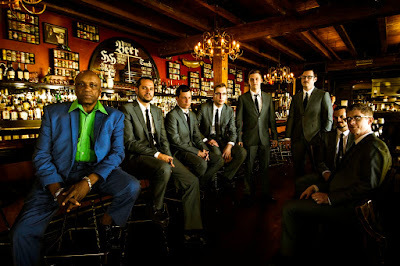 Sonny Knight and the Lakers are a Minneapolis soul band, touring behind a new album recorded live at the Dakota, a club where we have spent countless nights and too many dollars, and issued on the Minneapolis label Secret Stash Records. We’ll see them on the Garden Stage on Saturday afternoon. Look for this to be one of those concerts where the crowd builds and overflows onto the sidewalk. Like the Davina & The Vagabonds show two years ago. Ahem, they’re from Minneapolis, too. Monty Alexander Trio. We can’t remember a Festival year when all six nighttime sets at the Coffee House were given to a single pianist. With John Clayton on bass and Jeff Hamilton on drums, Alexander will take us to Jamaica and back again. This is an old-fashioned residency, something that hardly ever happens anymore outside New York, and what a treat that it’s happening here. Rudresh Mahanthappa’s Bird Calls. 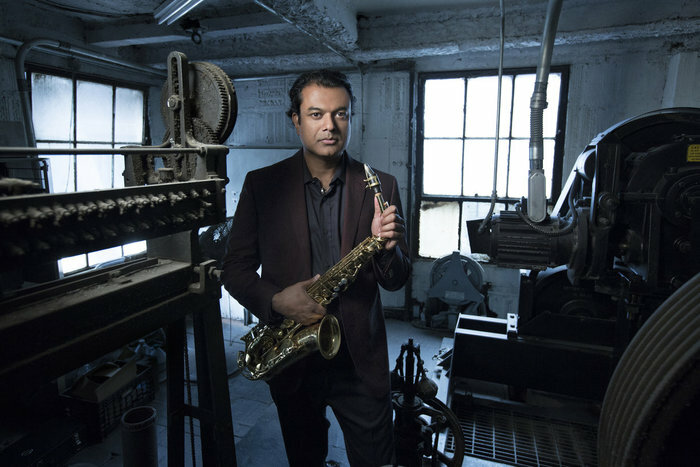 After several excellent albums and heady collaborations with artists including Vijay Iyer, Kadri Gopalnath, Rez Abbasi, Bunky Green, David Gilmore and Steve Lehman, second-generation Indian-American saxophonist Mahanthappa hit one out of the park with “Bird Calls.” Inspired by Charlie Parker, but without any covers or tunes built on Parker’s chord changes, it leaped onto Top Ten lists everywhere and earned Mahanthappa a triple crown in the latest DownBeat Critics Poll: Jazz Album of the Year, Alto Saxophone and Rising Star-Composer. Mahanthappa plays with fierce energy and intelligence, and his current quintet – 20-year-old trumpeter Adam O’Farrill (Arturo’s son), pianist Matt Mitchell, bassist François Moutin and drummer Rudy Royston – is amazing. They play Sunday night in the Night Club. Earlier that day in Dizzy’s Den, Mahanthappa joins Ravi Coltrane for a conversation about John Coltrane’s “A Love Supreme” hosted by Ashley Kahn. As always, Monterey is jam-packed and there’s so much more. Her Majesty Dianne Reeves in the Arena on Sunday night. A Jaco Pastorius party led (and arranged) by Vince Mendoza, in the Arena on Friday night. Terence Blanchard’s new E-Collective in Dizzy’s Den on Friday night. The enchanting Lizz Wright in Dizzy’s on Saturday, touring behind her soulful, sensual new album “Freedom & Surrender.” The first public performances of this year’s Monterey Jazz Festival on Tour band of jazz all-stars, Saturday in the Arena and Sunday in the Night Club. 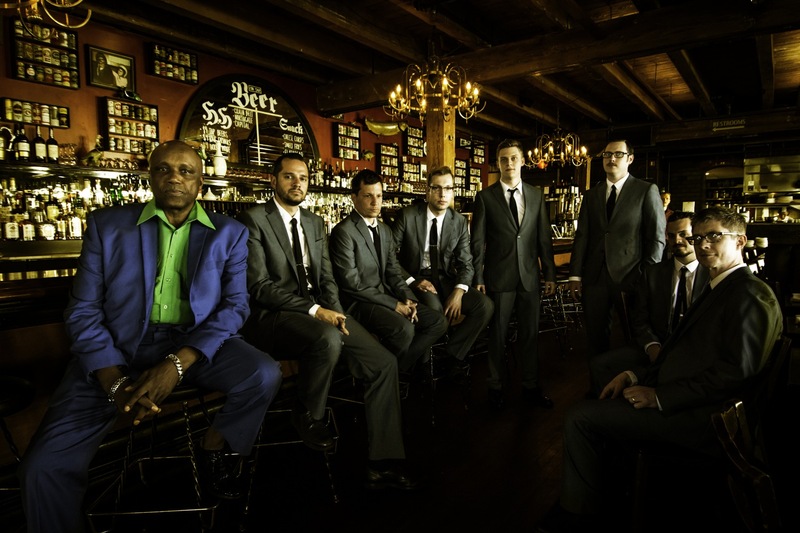 The incendiary Latin rhythms of the Escovedo clan on Saturday at Dizzy’s and Sunday in the Arena. And the grand finale? Superstar trumpeter Chris Botti in the Arena, sending lambent golden notes into the night. Related: John Whiting's photos from the 57th Annual Monterey Jazz Festival (2014).